Paola is a senior fund manager within the Fixed Interest team, responsible for a number of sterling corporate bond funds. Paola has over 20 years’ of experience in the bond markets, and joined Royal London Asset Management in August 2007, from Credit Suisse Asset Management. She has held a number of roles specialising in European corporate bonds, government bonds and emerging market debt. Shalin became a portfolio manager in 2015, having joined the Fixed Interest team in 2008. 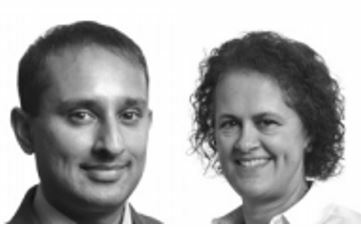 Prior to taking on fund management responsibilities, Shalin worked alongside Jonathan Platt, Head of Fixed Interest and Martin Foden, Head of Credit Research, on the development and management of a number of segregated mandates. Previously, Shalin worked at PriceWaterhouseCoopers, as a qualified actuary.